With increasing rates of divorce in Chandigarh and other cities across the country, it has become extremely necessary for couples to look for good lawyers for child custody, so that things can be settled amicably among them and no untoward incidents and mud flinging takes place. It is very important to understand that the future of the child needs to be thought about while planning for the divorce. It has been noticed that some parents simply fail to look beyond their own personal reasons and do not understand that their actions to a greater extent would have severe impact on the mental and physical wellness of the child. It is for this reason that the learned courts of the country have made it a compulsion for such parents to first sort out their custodian related issue while applying for divorce, something that cannot be neglected. 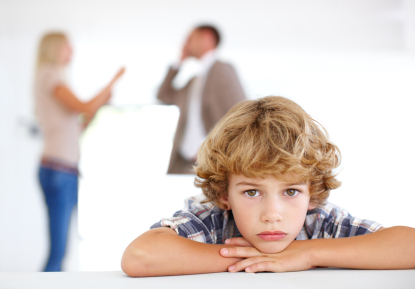 The presence of qualified and experienced child custody lawyers in Chandigarh has really helped to solve many divorce cases amicably. These advocates do their bit to help couples to sort out their divorce related issues without them getting into any kind of troubles and hassles. These lawyers for custody of child are specialized in the domain and the main objective is to protect the child’s interests and rights and is very much effective in achieving this. It is very much important for both the parents to ensure hiring a child custody advocate, who would be neutral and help the child to benefit in the long run and make sure that the life of the child is not spoilt because of the parents’ decision to go separate ways legally. According to the constitution, it is the responsibility of both the parents to take care of their child, and also, support them financially. At the same time, the child needs to be supported throughout in its education and to meet its basic requirements and keep it happy, so that the child grows into an adult and stands on its own feet. It is the court that decides the settlement of the divorce and how it needs to be carried out. Also, it specifies what the child gets and how it is to be performed. No parent can deny the responsibility, failing which the court would take prompt action. The qualified advocate for child custody would help the parents and guide throughout the custodial procedure. There are some parents, who wish to have the child in their custody and there are legal battles that are carried out among both parents. It is the court that concludes as to who would get the rights and how the child is to be shared by both and how. The child custody advocate ensures that the child is not deprived of the love from both the parents and gets his/her due share. This is where experienced and knowledgeable lawyers of child custody come into the picture, something that simply cannot be denied. The entire process is a bit complicated one, especially if the both the parents contest to take custody of the child. The advocate for child custody can make it simply and easy by negotiating and getting the process to be in front of the court, so that a fair decision is reached.